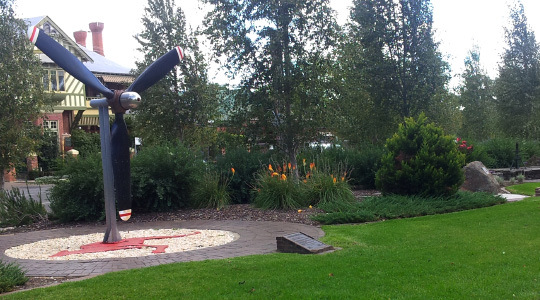 Located in the heart of the city, the Victory Memorial Gardens is set on approximately 2 hectares of land. 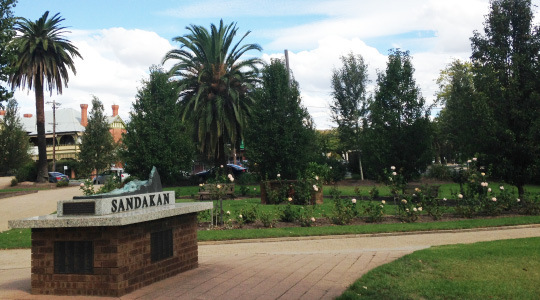 It is located on the corner of Baylis and Morrow Streets, along the banks of the Wollundry Lagoon. Throughout the Gardens are various memorials, including The Cenotaph and dedications to the First and Second World Wars, and Vietnam War. Take a stroll through the Gardens and read up on our history by visiting these important memorials. The Gardens are popular with families and children, particularly to feed the ducks or play in the playground. It is also a popular location for a relaxing lunch with its inner city location just a short walk away. With its sculptured gardens, lush grassed areas, memorial fountain and lagoon backdrop the Gardens provide the perfect variety needed to capture the special day. 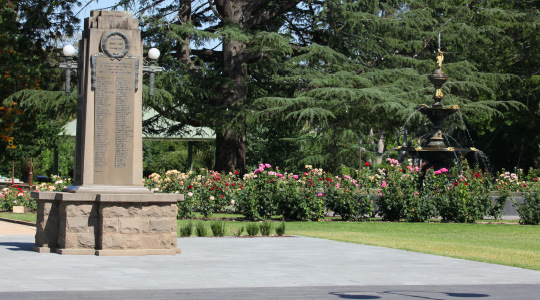 To enquire about booking your wedding in the Victory Memorial Gardens, or any other park, email bookings@wagga.nsw.gov.au or call 1300 292 442. 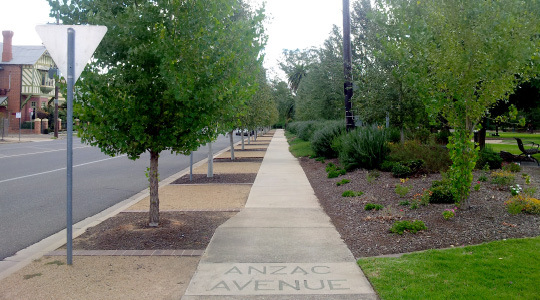 Wagga Wagga City Council, with City Partnership foundation member Wagga RSL Club, commenced a project in 2009 to restore the historic 'Anzac Avenue' in preparation for the 100th Anniversary of the landing at Gallipoli in 2015. Anzac Avenue runs along The Esplanade from Beckwith Street bridge, Ivan Jack Drive and Morrow Street alongside the Victory Memorial Gardens. Stage One of the project in 2009 saw the removal and replacement of existing aged and dying poplars along The Esplanade, from the Beckwith Street bridge to Ivan Jack Drive. Stage Two of the project in 2010 involves removing and replacing the remaining 37 existing Polar trees along Ivan Jack Drive and Morrow Street, alongside the Victory Memorial Gardens. 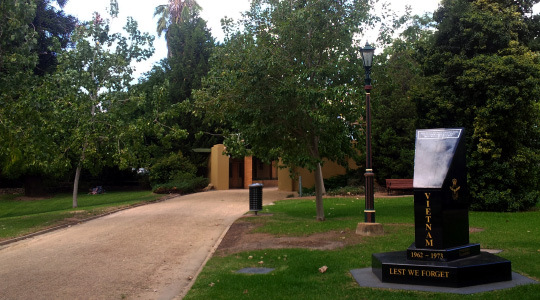 Wagga RSL Club General Manager Andrew Bell said, "The RSL Club is proud to be a part of this fantastic restoration project that will serve as a living memorial for fallen diggers, we believe they should not be forgotten and this restoration work is a fitting tribute to their dedication." Four trees, grafted from the original Poplar trees planted in Wagga in 1932, will be planted to form an entranceway at either end of the avenue. By forming an entranceway, Council is keeping alive the history of the current poplars. The trees along Anzac Avenue have suffered through less than ideal climate conditions, so a replacement Poplar variety - Poplar P. Simonii - was sourced to ensure a greater survival rate and long term success.